Results have gone for us again! Can we capitalise on it? I hope so, a trip to Birmingham for us tomorrow and we should be coming away with a win, we don't know what City will turn up yet though! We have to be prepared for a battle tomorrow because what Birmingham lack for in skill they will make up for with hard work and fight, we have to show everybody that we are not a soft touch. 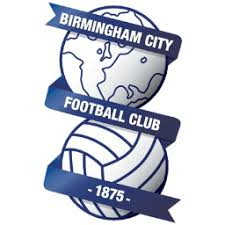 I haven't seen a lot of Birmingham so far this season but when I have seen them they do not look a terrible side, on the other hand they don't look a good side. Birmingham's danger men? Well certainly Benitez, he is a player I have seen a great deal of from both International games and from watching Santos Laguna when I have been keeping my eye on Vuoso. Benitez is a very talented player and someone who I thought would reach a high level, he is a goal machine and can also link up play, he is due a goal so we will have to watch out for him. We should also keep our eyes on McFadden, he isn't the best player in the world but he certainly knows how to score a goal. Overall I am not really worried about Birmingham and I don't think I should be, we should be able to beat them with whatever team we put out. Then again it all comes back to what City will turn up at St Andrews tomorrow, if fluent City turns up we will hammer them, if decent City plays then we should beat them, but if poor no shape City turns up then who knows! I am hoping Ireland will play tomorrow, I think it is time he came back in to try and regain his place. Against Scunthorpe he seemed to have more of a free roll again and looked all the better for it, hopefully he is returning to form. Another player I am desperate to see get a run of games is Vladimir Weiss, he has looked explosive in his cameo appearances for us and in his performances for his country, he has got to be worth giving a chance to in place of the poor SWP. Anything but a win will be disappointing for us tomorrow especially seems as the results have gone our way again, this game will actually give us a good idea on how far we have come, the old City never took advantage of anything going their way! Kolo Toure and Martin Petrov are both set to return to the squad after recovering from injury as are Wayne Bridge and Craig Bellamy who were rested in mid week. Benjani Mwaruwari may have had a set back with his thigh injury after appearing in our mid week cup win, Robinho (ankle) and Nedum Onuoha (thigh) are still out. Joe Hart is ineligible to play against the club that owns him, Maik Taylor is expected to start in net. Giovanny Espinoza (foot), Martin Taylor (foot) and David Murphy (knee) are all pushing to be available, Damien Johnson (hamstring), Keith Fahey (foot) and Marcus Bent (hamstring) could also be in contention after nearing full fitness. 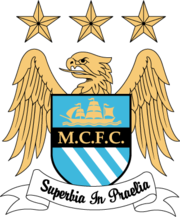 Possible Man City Line Up: Given, Zabaleta, Toure, Lescott, Bridge, De Jong, Wright-Phillips, Barry, Bellamy, Tevez, Adebayor. Possible Birmingham Line Up: Taylor, Carr, R. Johnson, Dann, Ridgewell, Bowyer, Larsson, Ferguson, McFadden, Jerome, Benitez. My Prediction: Birmingham City 1 - 4 Man City. Worth A Bet: Gareth Barry scores in a 4 - 1 Man City win.